9"x12" Ink on bristol. Recently inked art done over an old pencil sketch for a cover I never did for Zero Zero back in the 1990s. I found the penciled sketch (pencil on bristol) among old art and decided to finally ink them. 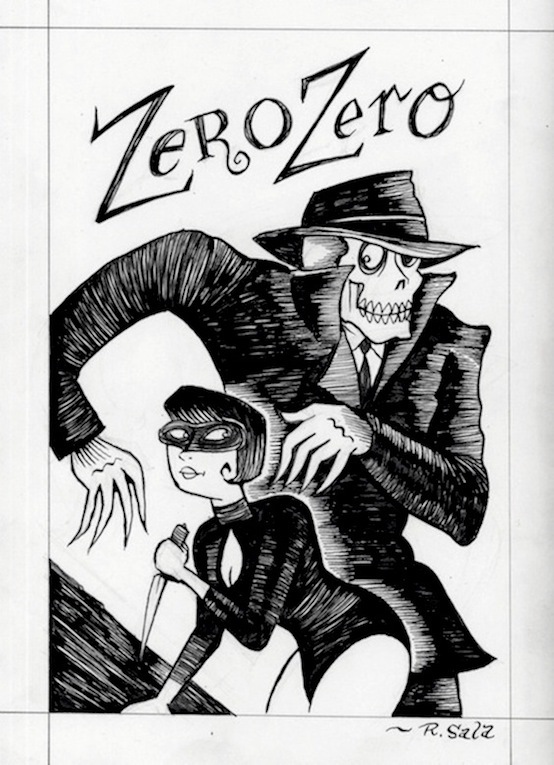 They were ideas for Zero Zero covers I never did.